Anyone else already surrender their wallets to Nintendo? I already planned on buying it after Nintendo's E3 'conference'. I'm already a fan of Dynasty Warriors and LoZ, so I just need to order it. I think I heard they will be offering free alt attires depending where you buy it. 1- What's up with Lana? I understand the need for original characters, but holy crap, is she annoying. 2- Doesn't Team Ninja's involvement raise a red flag after the disaster that was Other M? 3- Will this game deviate from DW's stale "X-X-X-Y-Y-Y" gameplay? I'm a sucker for Zelda games, but I hate Dynasty Warriors, so I'm not sure how to feel about this whole thing. I might pick it up once I actually buy a Wii U, but if I wasn't already interested in getting the console this probably wouldn't change my mind. 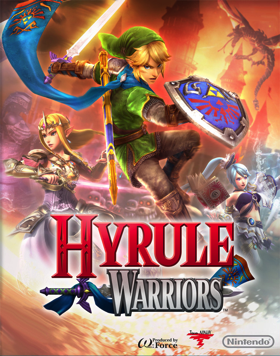 As a fan of Zelda and Dynasty Warriors, I'm looking forward to this game even if I don't have a Wii U. I am skeptical, though, because part of the fun of Dynasty Warriors is the aspect that about half the bosses you fight are their own playable characters with their own allegiances— there are multiple perspectives on what's going on in the story, and that's a huge part of the replayability for me. I'm optimistic but afraid that HW will end up as a single black-and-white, good-vs-evil story and nothing else (despite that being the usual case in Zelda stories, but I digress). I'll likely enjoy it either way, though. (08-18-2014, 07:56 PM)Smash Bro Wrote: 2- Doesn't Team Ninja's involvement raise a red flag after the disaster that was Other M? Nope. But having 3 dev teams working on the game does. The game so far looks very repetitive (been watching Japanese gameplay), probably gonna start this on the hardest mode available from the beginning. So this game actually comes out today, if anyone gets it before me, can you let me know if multi-player is available right off the bat? It would be silly if it wasn't lol.